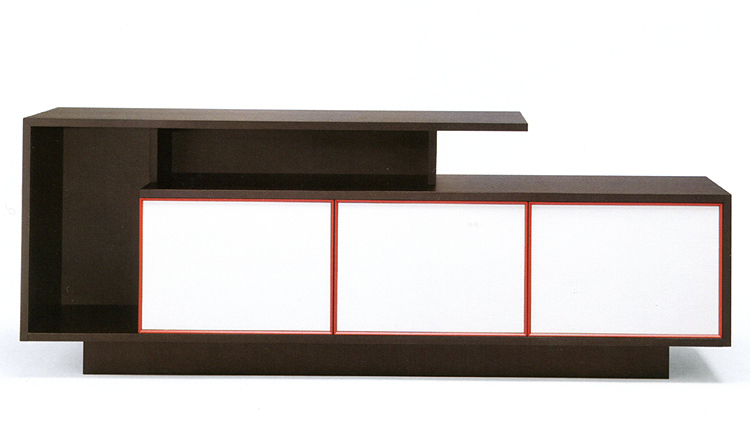 Contemporary sideboard/buffet with a veneered or matt lacquered (open pore) structure. 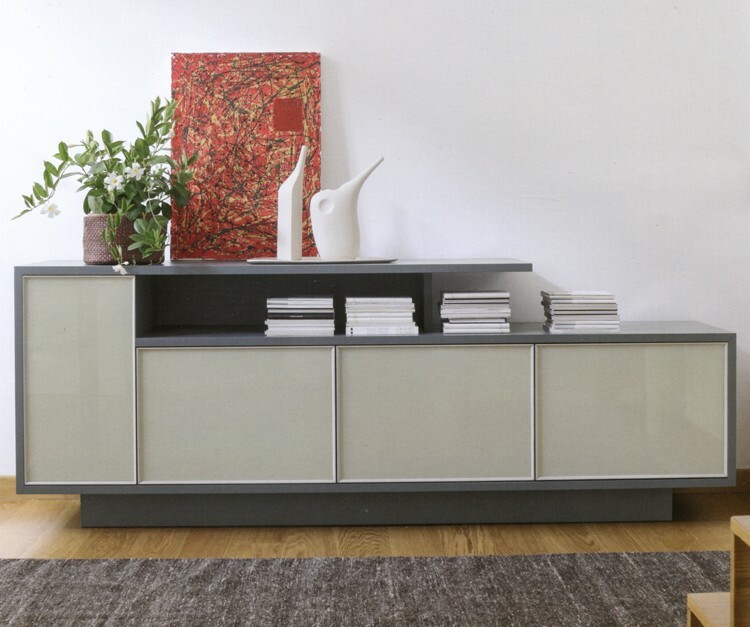 Available with 3 or 4 doors in veneered wood, matt lacquered (open pore) or colored glass. See sample links below for all color options. 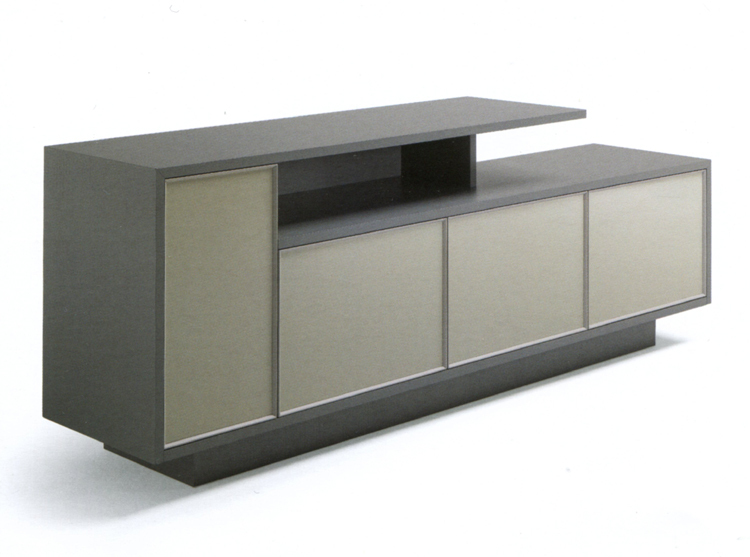 An open pore lacquer allows the wood grain beneath to be seen. 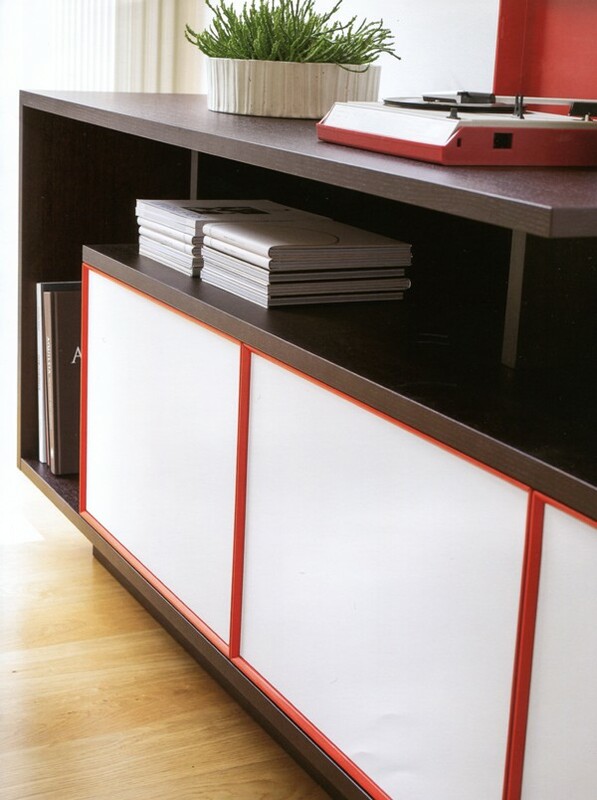 The door frame can be lacquered in a different color on request (as seen on image with orange door frame).